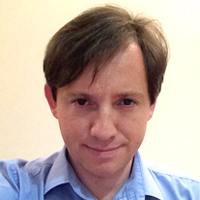 Alberto Asquer is Lecturer of Public Policy and Management at SOAS University of London, where he act as director of the Public Policy and Management and Public Financial Management programmes. He also acts as director of the SOAS Centre for Water and Development. His background studies include an MSc and a PhD at the London School of Economics and Political Science. His research interests are in the areas of public management, public financial management, and regulation of infrastructure and utilities.